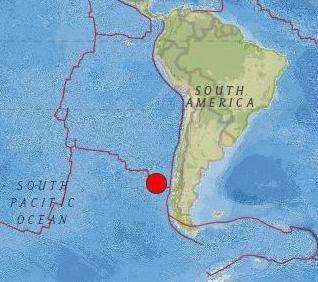 A strong magnitude 6.8 earthquake hit central-northern Chile on Wednesday, shaking buildings as far away as the capital Santiago. There were no reports of serious damage and there is no tsunami threat. But it seems like the earthquakes increase in strength. Within one month, already 12 earthquakes of Magnitude 6+! Please, correct the country's name. It's CHILE.